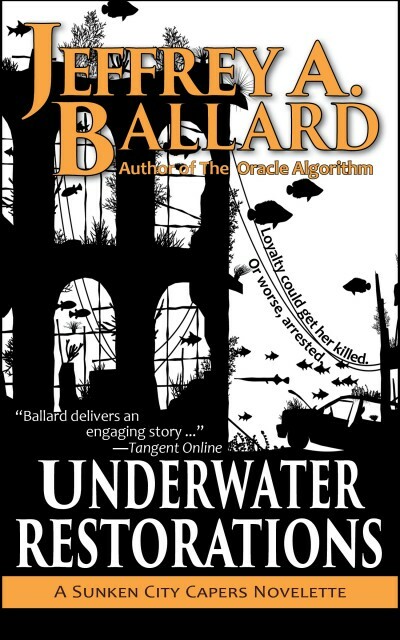 "Ballard delivers an engaging story with good technique ..."
Flushed out from the criminal underworld of pilfering underwater graves, Isa must gamble to survive. Cut off from the world she knows, and in the open without a citizen’s chip, she attempts the desperate. Among the stakes gambled: another man’s life—the only decent one she knows. In this fast-paced, action-filled science fiction heist adventure, Jeffrey A. Ballard, pens an exciting tale where loyalty could get you killed … or worse, arrested. Stay tuned for the Sunken City Capers novel series launch in October, 2016!